The grove’s biggest trees occupy a rolling plateau on top of the ridge. Unfortunately this area has also been, and continues to be, heavily logged. 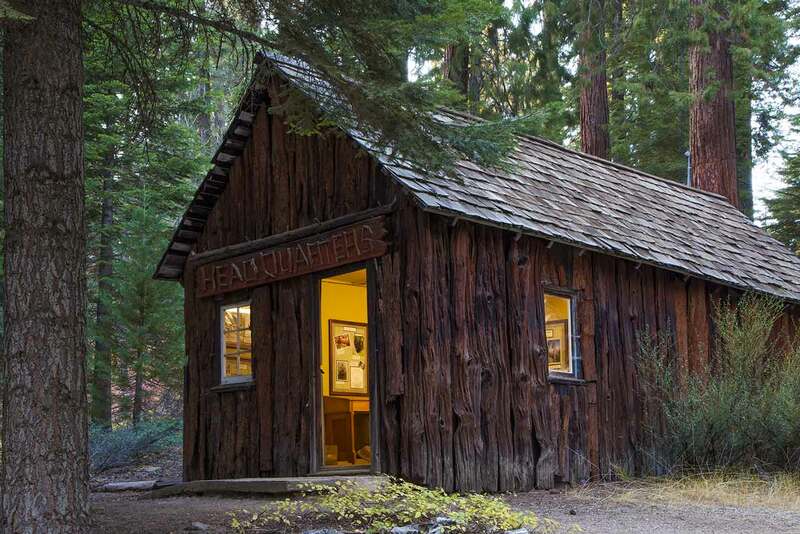 Most of the sequoia logging occurred in the 20 years beginning in 1885, when there were six sawmills in the area, but there was an especially destructive period just before the state purchased the property in 1945, when one owner used dynamite to blow up as many sequoias as possible. 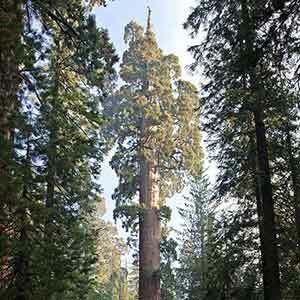 Although the sequoias have been off-limits to logging since that time, logging of other species has continued. It’s why Mountain Home is a Demonstration State Forest rather than a park: the county didn’t want to lose the income generated by logging. Today the remaining huge trees are unusually exposed as a result of the logging, and the forest is laced with a dense network of logging roads. The artificial openness of the logged forest allows picturesque views of the sequoias, but it can also look a bit odd. It doesn’t inspire quite the same sense of awe that an unlogged grove does. The plateau doesn’t have a lot of good hiking trails, but because it has so many logging roads it’s actually one of the best places to see sequoias by car. 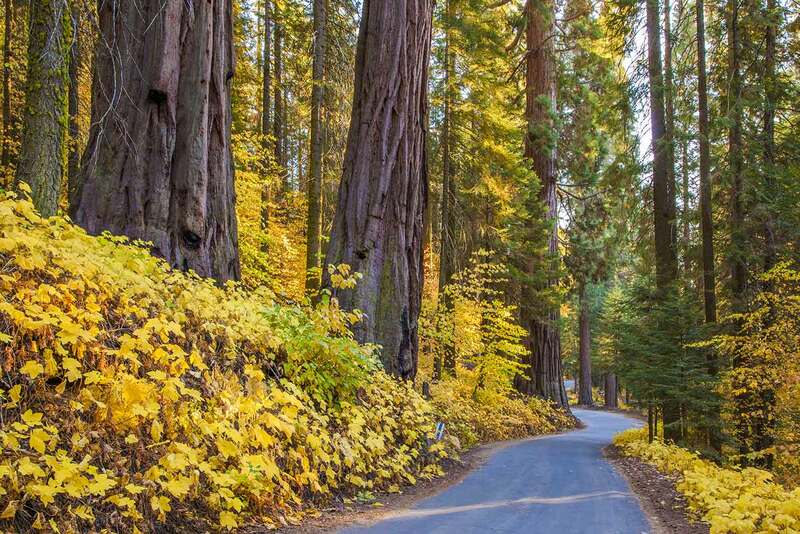 You never really need to walk more than a few yards to see the biggest trees, and you can see more big trees from your car in Mountain Home than in Sequoia National Park. Mountain Home also doesn’t have the entrance fees, shuttle buses, and crowds that the national park does. 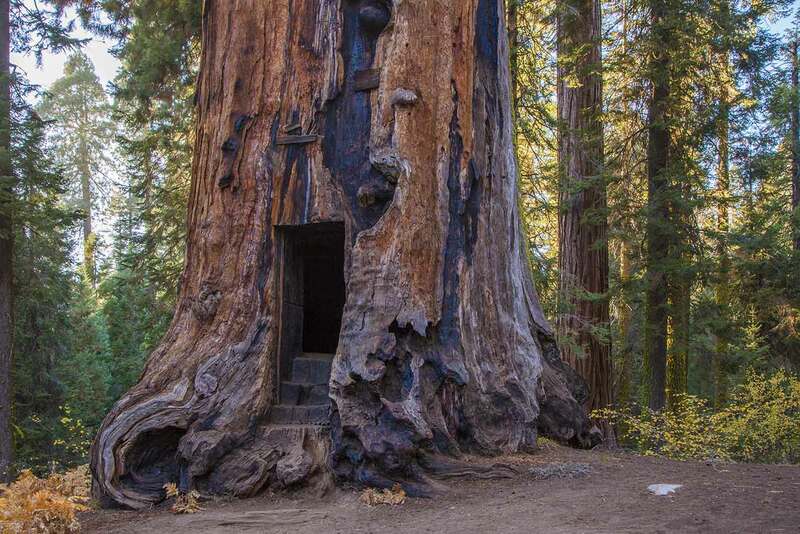 Good areas for viewing sequoias include the first quarter-mile of the Memorial Trail; the upper half of Lace Meadow Road; and the short dirt road across from the Oliver Twist Tree. 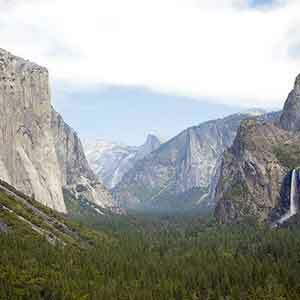 Below the plateau is a deep valley where scattered old-growth sequoias line the banks of the Tule River and Moses Gulch. 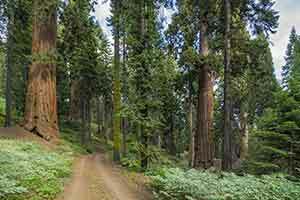 The sequoias are smaller and more widely scattered here, but the forest is not as heavily affected by logging and has more of a wilderness feel, with lusher, more attractive woods and burbling creeks. The sequoias in this area may be unlogged, but the slopes above the river have been logged of non-sequoia trees. Officially, there are four sequoia groves along banks of the Tule: Middle Tule Grove, Silver Creek Grove, and Wishon Grove. In fact, though, the sequoias are so widely scattered and there are so many sequoias outside the official boundaries that it seems more like a single diffuse grove. Mountain Home has quite a few campgrounds. 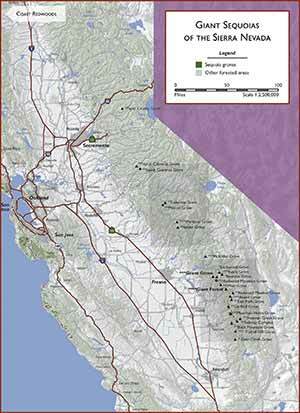 Hedrick Pond is the most attractive, located next to a small mill pond ringed with dogwood and sequoias. Although it’s a former sawmill site, the sequoias around the pond appear to have escaped logging and the woods look very much like old growth. The Frasier Mill Campground (another sawmill site) is less attractive; it’s been completely logged and no big sequoias remain within the campground. Judging from the stumps, though, this was the site of the densest and most impressive stand of sequoias in the park. Some very scenic big trees remain just outside the campground. 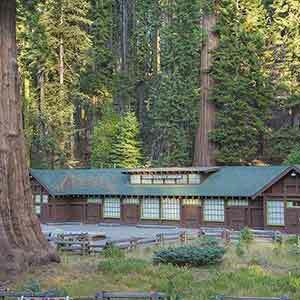 Most notably, across from the Memorial Trail access road is group of three huge sequoias that were spared when the Camp Lena area (then not part of the park) was logged in 1956. One of these, the lightning-damaged but still-living “Hercules Tree” has been hollowed out and turned into a little house. 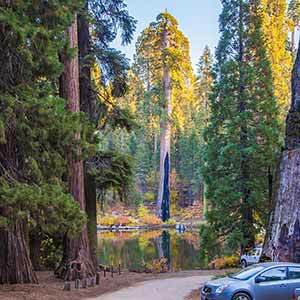 Balch Park has the largest campground, featuring two picturesque ponds ringed with sequoias. 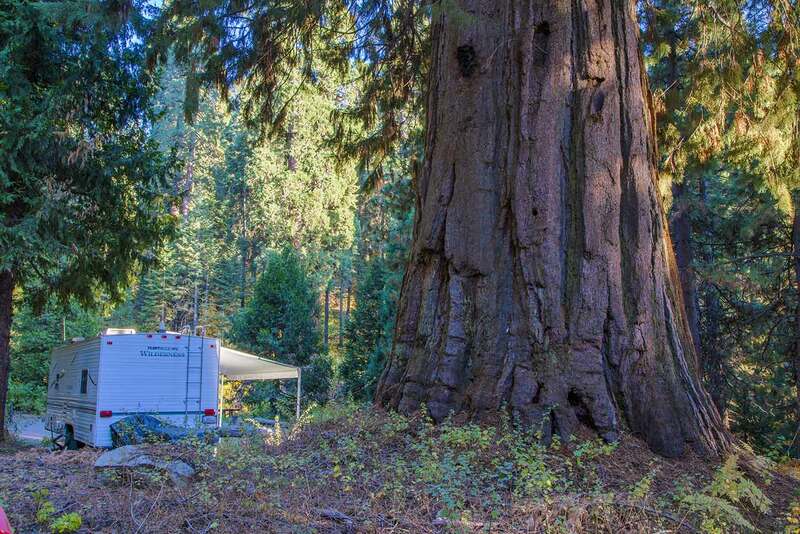 The upper pond has the most impressive sequoias; located inside the campground, it can’t be seen from the road, but visitors can drive in and park next to it. The ponds look like millponds but in fact were created by the park in 1958 as fishing ponds. The ponds unfortunately flooded the roots of some nearby sequoias and killed them. Three sequoias were cut for salvage, and the huge, tilted "Lady Elizabeth" stump, immersed in the lower pond, remains a prominent sight. Ironically, Balch Park has never been commercially logged, but its ponds with their huge stumps make the park look like a former sawmill site; while Hedrick Pond, which actually was the site of a sawmill, looks relatively unaffected by logging. 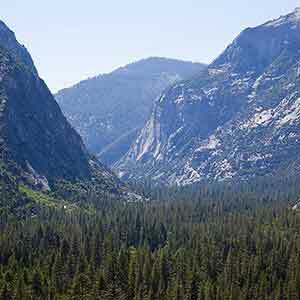 The Tule River valley has two smaller, woodsier campgrounds (Moses Gulch and Hidden Falls) located by the river. 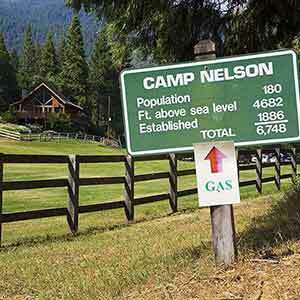 The campsites seem a little more spread out here. This short loop near the Frasier Mill Campground is one of the better big tree hikes in Mountain Home. “Papa’s Poncho” has blog entries on Mountain Home and on the Frasier Mill Campground. 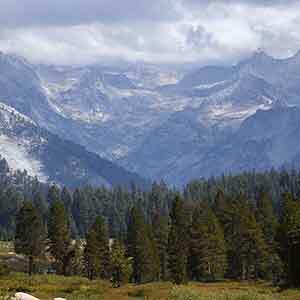 Dan Schechter’s Blog has an entry on Mountain Home. The Men of Mammoth Forest, by Floyd L. Otter (1963), is a colorful history of Mountain Home before it was purchased by the state.